Major U.S. bank Chase on Monday unveiled a new television advertisement prominently featuring Apple Pay, the latest of Apple's partners to leverage the mobile payment system in a bid to attract consumers. The ad —in which Apple was heavily involved according to AdAge —follows members of an indie band as they prepare for a show by making purchases with their Chase Freedom card through Apple Pay. One gets a haircut, for instance, while another has his guitar tuned. Apple advertising chief Phil Schiller personal gave the go-ahead for the spot after seeing storyboards and meeting with members of Chase's creative team, Chase marketing executive Susan Canavari told the publication. The Cupertino company was primarily concerned that Apple Pay was depicted properly and realistically. "We spent half day with them in Cupertino and they're storytellers," Canavari said. "Our concepts went to Phil, our storyboards went to Phil and someone from the brand team was on the shoot, so they were involved there too," she added. 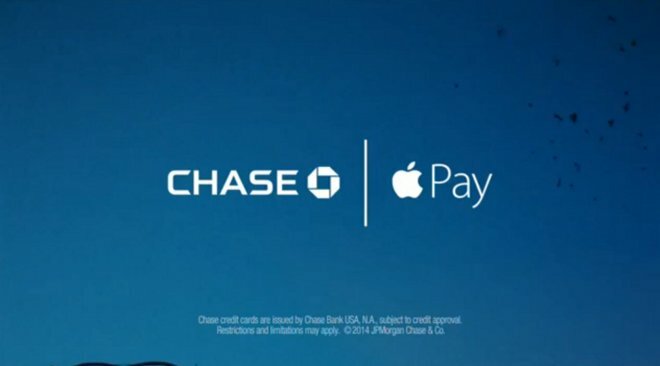 The establishments featured in the ad are actual Chase partners, and the bank worked with them directly to update their point-of-sale terminals to accept Apple Pay. The spot is set to run in 30-second slots on ABC, CBS, ESPN, Fox, and NBC during "prime time TV shows, sports broadcasts and holiday specials throughout the season."